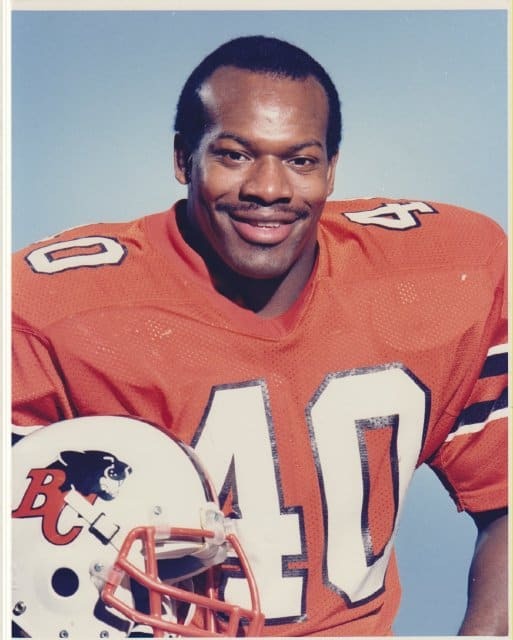 It was with great sadness that the BC Lions Football Club announced the passing of former Lions and CFL great James ‘Quick’ Parker. James Parker terrorized CFL Quarterbacks for 12 seasons, starting his career with the Edmonton Eskimos in 1980 where he played four seasons with the green and gold then spent six seasons with the BC Lions on one of the best defences in CFL history. He finished his career in Toronto with the Argos. With is trademark feather in his helmet, Parker was a smaller than average defensive lineman with a pit bull mentality and tremendous quickness. At times he appeared unblockable and his motor never stopped. He was the member of four Grey Cup championship teams, 3 with the Eskimos in 1981, 82 and 84, before helping the Lions to their 2nd championship in 1985. Parker also had brief stints on the Lions coaching staff following his playing days and his son Keynan is a current defensive back with the Lions. We extend our deepest condolences to the Parker family.